Jose M. Lorenzo, Jr., has years of experience in dealing with guardianship, probate, and personal injury issues across the state of Florida. Located in the Miami region, Mr. Lorenzo is not only trusted by clients, but respected by peers across the legal community. He has been well-versed in these areas since law school, where he performed in trial competitions. Additionally, Mr. Lorenzo clerked for the Honorable Judge Maria M. Korvick in the Probate Division of the Eleventh Judicial Circuit Court of Miami, following almost a decade serving as a paralegal in two leading Miami law firms. Mr. Lorenzo earned his bachelor's degree in accounting and finance from Florida International University College of Business in 2009, and achieved his Juris Doctorate (J.D.) in law from FIU's College of Law in 2013. He has skills in a broad range of areas from public speaking to civil litigation, and aggressively defends the interests of his clients. Probate is something of a terrifying word for many people, and for good reason. Very often, the process of going through probate is complex, and things that begin as minor sticking points have turned into such major issues they have torn families apart. I am here to help you navigate any complex and/or major issue. Most potential clients believe that Estate Planning is only useful to plan for their passing. The truth is that Estate Planning is also necessary to plan for unexpected life turns while you alive. Let me help you plan for all those unexpected turns and for your family's well-being. We have many years of experience representing clients in complex personal injury matters, including cases involving federal issues. 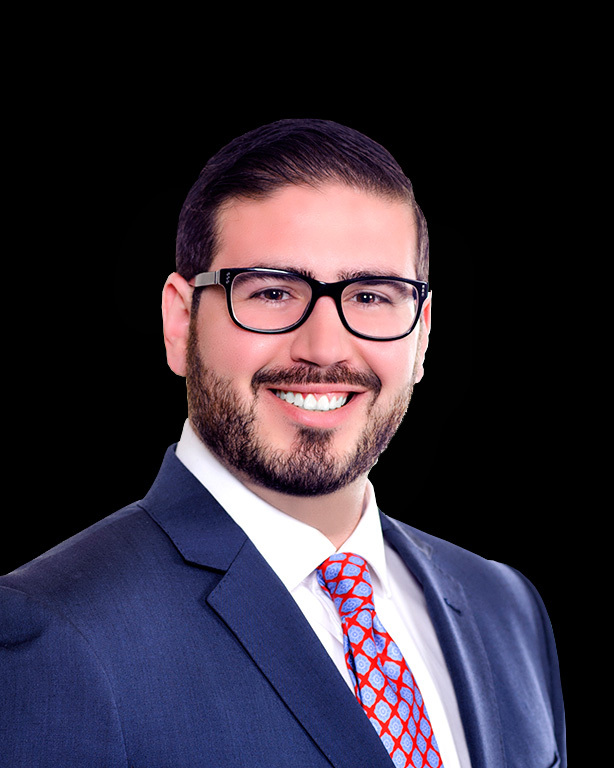 Jose Lorenzo pursues every case with the same personalized and detail-oriented approach that has consistently proven successful in securing favorable results for our clients. While some law firms focus on quickly settling a high volume of cases, we prefer to focus on maximizing each individual client's potential compensation. I love having the ability to help my clients through some of the hardest time periods of their lives. I have been working in the area of Probate Administration and Litigation, Guardianship Administration and Litigation and Trust Litigation since the age of 14/15. My commitment, dedication and communication with my clients.